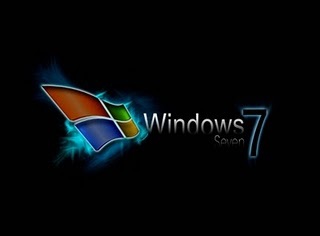 Many people have been having a problem when they tried to install Windows 7 on their computer, which already had another Windows installed on it (Windows XP, Vista or even Windows 7 itself). Well, I also had this problem, and so I searched for a solution and found it. That`s what I`ll show you in this post. When you cannot format the hard disk before installing Windows 7 and proceed with the installation process without actually removing the Windows that was previously installed on the disk, you would notice that Windows 7 automatically creates a folder named â€œWindows.oldâ€ or something similar to this, with a transparent icon. You may think that deleting this folder would do the thing, but it`s not. Even if you delete the â€œWindows.oldâ€ folder, the previous Windows would still be present (though it would naturally not work as all its files have been deleted). So, deleting the â€œWindows.oldâ€ folder is not the proper way to remove the previous Windows from the disk. You should also know that formatting the disk would remove all the content from the disk, not only the Windows files. So, keep this in mind, and be sure to keep backups of your personal files. Programs do not need to be backed up as you can install them again, however, if you have files you use with applications you will want to keep these as backup, as well as some plug-ins or add-ons that do not come with the program setup files (if you have them). Now, you may have your reasons to want to format the hard disk. I had to format my hard disk as it was infected with viruses that damaged the previous Windows. Also, people like to delete everything (they have backups of personal files) when they install a new Windows. For example, if you are upgrading from Window XP to Windows 7. Well, let`s come to how to format the disk. Inserting the Windows 7 disk after loading the previous Windows will eventually not allow you to format the disk, unless you are ask to restart the system. Then again, when I inserted the disk and restarted the computer, I could not find the option to boot with the Windows 7 DVD. And that`s the problem that many people face. To format the hard disk before installing the Windows 7 with the DVD in this case, you need to go the BIOS. To access BIOS, you need to turn off your computer, and turn it on again. Normally, to enter BIOS, you need to press a F (function key) key or the DEL key, depending on the computer or laptop you use. For some it`s F2, some F11, other computers have other keys. The key that you need to press appears on the very first screen as you turn on your computer. It`s really quick, so be sure to see which key it is and press it before the first screen display disappears. What you need to do in BIOS is change the boot order accordingly. You need to make the DVD first (at the top). If you have never entered BIOS, you may be a bit anxious, and you are right because doing something wrong there can have severe consequences on the system. But you need not fear and just follow the instructions. You will be using the arrow keys. The instructions are clearly labeled on the BIOS screen. Go to the Boot order option. You should see items like DVD rom, hard disk, CD rom, USB, network, â€¦ there. To move the DVD rom option up and down, you normally use the + and â€“ keys. This should be easy. Then, be sure to SAVE the settings and exit the BIOS screen by following the instructions there. Then, the Windows 7 DVD should boot first (instead of the installed Windows) and during the installation process with the DVD, you will have an option where you can choose to format the disk and partition it if you wish. By the way, be sure to have backup of your important files before formatting everything. Well, that`s how you do this. To sum up, you insert the DVD, restart, enter BIOS, make DVD the first item in Boot Order, exit BIOS and proceed with the installation from the DVD during which you will be presented with the option.